This little slew of posts comes to you courtesy of two days in bed with a stinking cold. The new job is going really well so far, but as predicted it is kicking my backside in terms of the considerably reduced amount of free time that I have. Like Sadie, too, I’ve been trying to focus on actually doing the sewing/ knitting/ whatever instead of spending time and mental effort on blogging about it. An earring stand is something that I’ve wanted for ages, but never quite got around to making. Yes, I could have bought one… but when it came to it, none of the stands for sale out there where quite what I wanted. These are very simple, made using two basic photo frames that originally came from IKEA and a sheet of woven wire mesh purchased (for what I consider a very reasonable price) from the Crazy Wire Company. I cut the mesh to size using normal scissors and then slotted it under the little metal catches on the back of the frames. 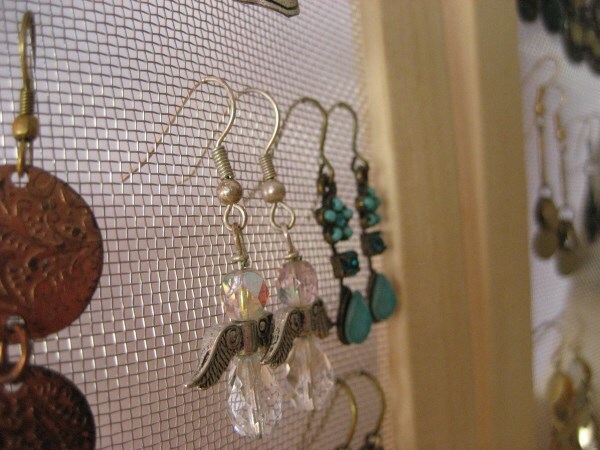 The earrings then just hook through. 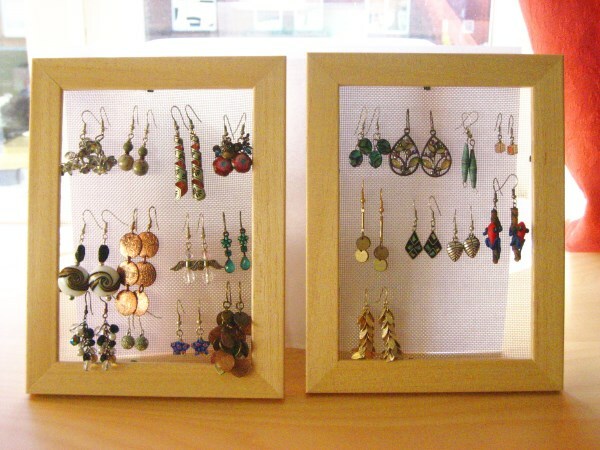 The one downside is that in order for there to be room for the earrings to hang, I had to lose the cardboard prop from the photo frame – the finished stands just lean against the assorted toiletries boxes on my chest of drawers. But I’m OK with that. I have been finding that having my dangly earrings on constant display has reminded me to wear them more, which is a good thing. 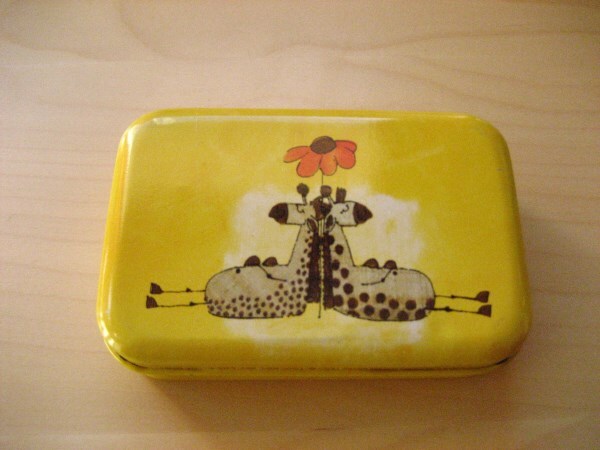 It’s also freed up room in my little giraffe tin so that I can see what studs I have better. Little things, eh? All opinions expressed on this blog are my own, and I am not affiliated with any products or sellers, unless explicitely stated otherwise.